Shoulder prostheses are now commonly used. Clinical results and patient satisfaction are usually good. The most commonly used types are humeral hemiarthroplasty, unconstrained total shoulder arthroplasty, and semiconstrained inversed shoulder prosthesis. Complications of shoulder arthroplasty depend on the prosthesis type used. The most common complications are prosthetic loosening, glenohumeral instability, periprosthetic fracture, rotator cuff tears, nerve injury, infection, and deltoid muscle dysfunction. Standard radiographs are the basis of both pre- and postoperative imaging. Skeletal scintigraphy has a rather limited role because there is overlap between postoperative changes which may persist for up to 1 year and early loosening and infection. Sonography is most commonly used postoperatively in order to demonstrate complications (hematoma and abscess formation) but may also be useful for the demonstration of rotator cuff tears occurring during follow-up. 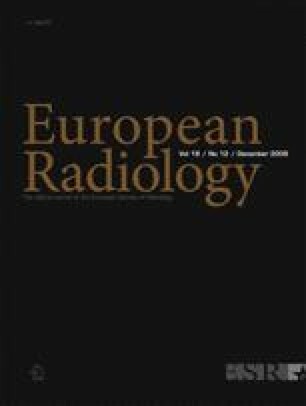 CT is useful for the demonstration of bone details both pre- and postoperatively. MR imaging is mainly used preoperatively, for instance for demonstration of rotator cuff tears.